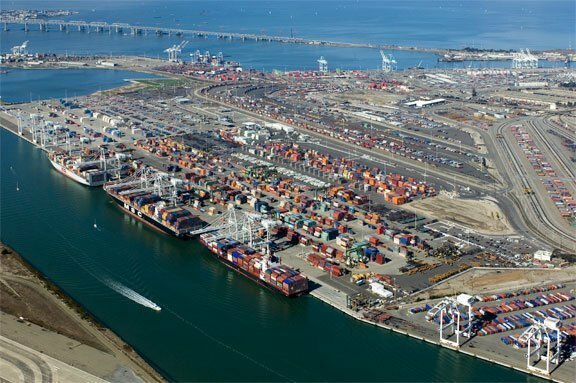 The US Board of Port Commissioners has given the OK for container terminal operator TraPac to go ahead with a project to almost double the size of its maritime terminal at the Port of Oakland in northern California. Wilmington, California-based TraPac, will develop land formerly occupied by Outer Harbour Terminal, which went bankrupt earlier this year. With the 14-year leasehold addition of 57 acres to its existing 66 acres, the TraPac terminal will grow to 123 acres. The company plans to construct a new entrance gate and add two new vessel berths, bringing the total to four berths. It will also upgrade the extra terminal land it has acquired. TraPac had reached an agreement on the expansion last month (see Splash24/7 October 16) but it needed the Board’s approval. TraPac, a subsidiary of Japanese conglomerate MOL, can begin work this month and expects it to be completed in 10 months.